From the moment after conception to feeding your newborn baby, Your Pregnancy Week by Week, covers everything you need to know about the miracle of pregnancy. 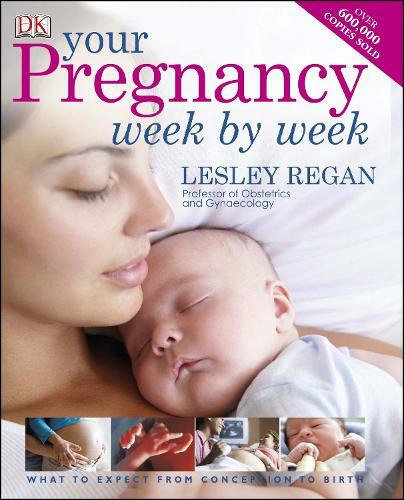 Professor Lesley Regan, world-renowned obstetrician, draws on her professional expertise and personal experience to explain exactly what is happening in your pregnancy week-by-week, both to you and to your baby. This essential pregnancy guide demystifies complex medical jargon, enabling you to make educated choices about your pregnancy and antenatal care, while also guiding you through your own physical and emotional changes as the weeks go by. Find explanations, advice and reassurance to ensure you have the best possible understanding of this extraordinary and wonderful time. Stunning 3D ultrasound images and specialist, up-to-the-minute research and information describes your baby's remarkable development, week-by-week, in the womb. Whether you're looking for the perfect gift for a new mum-to-be or searching for a comprehensive book for your own needs, Your Pregnancy Week by Week is for you. A newer edition of this book is available.